A minimum of 8 different styles of brush head are available from Oral-B to fit onto your electric toothbrush, but which one is best? What are they all for and what do they do? Why are there so many different styles? Is there not just one that does it all? In this guide I give a clear explanation of all the heads, who they are suited to and why you might want them. After reading this, you will understand the complicated range of brush heads. If you’ve still got questions after reading the guide, let me know in the comments. Having things demonstrated and explained is oftentimes easier. I have put together the following video, that has already helped over 400,000 people decipher the differences between these brush heads. What’s the best Oral-B Brush head? The very reason so many different styles of brush head exist is because they are all designed to achieve slightly different things. Engineered slightly differently, to suit different users’ needs and desires. It is therefore not that easy to say this particular brush head is the ‘best’. But, I do know the benefit of a simple answer, so I have done our best to break things down a bit. Read over the sections below to see which head you think is most suited to you. All of the brush heads offer slightly different things, so it’s not really possible to say which is definitively ‘the best’. But if you’re wondering ‘is there some sort of super-duper brush head’ that you’re missing out on, the answer is no. The best head for you depends on what your needs are . BUT if you are looking for a quick answer, and just want a middle-of-the-road brush head that will serve your everyday needs, you’re probably best of going for the CrossAction or Sensitive. I do have a more detailed look further on in the post at which brush heads are best for braces, whitening and sensitive teeth. Sensitive teeth and gums can be very painful and make everyday events like eating and brushing your teeth challenging. If you suffer from such, then Oral-B’s Sensitive Gum Care brush head (view on Amazon) is ideally suited to you. Perhaps you have inflammation or even bleeding from the gums when brushing. If they are sore and tender to the touch, then this will be the best brush head to use. The head benefits from softer bristles that move over the teeth and gum surfaces with a motion less abrasive than some other brush heads, reducing the sensitivity on the teeth and making the overall experience better and less painful. You can use this brush head with any cleaning mode on your Oral-B toothbrush, but for the best effect if you brush handle has the Sensitive or Gum Care cleaning mode, then do make sure to choose one of these when brushing. With a good oral healthcare routine, sensitive teeth and gums should subside, as often the cause is poor brushing technique and irregular cleaning. If after a couple of weeks you have seen little or no improvement you should seek further advice from a dentist as you may need to consider a change in diet, specialist toothpastes or even dental work. Braces are fantastic in what they can do to our teeth, but fixed braces in particular can pose a real challenge in keeping them clean. 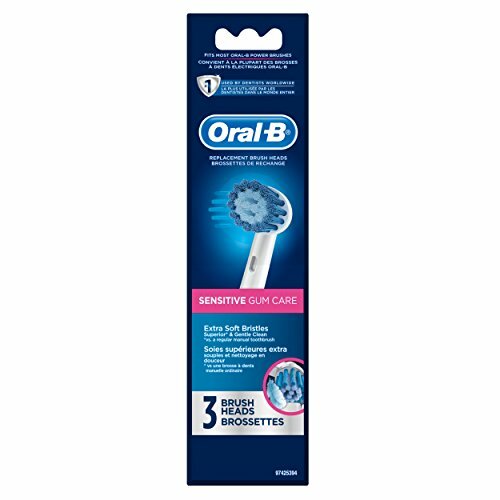 Thankfully Oral-B have a specialist ortho brush head (view on Amazon) that can handle their design and help remove the small food particles that can get caught on the teeth and gums and around the dental work. Whilst you can use any brush head on braces, the specially designed head has a bristle formation that works effectively, reaching in between the brace and around fittings to clean as effectively as if you had no braces at all. To get that pearly white shine to the teeth you need a head that not only cleans the teeth but buffs them to give them that polished look and sheen. 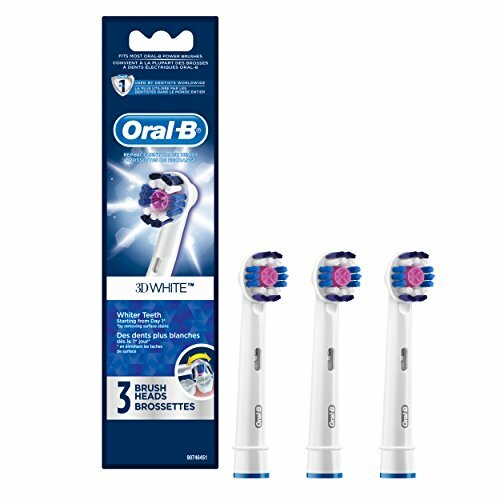 Oral-B’s 3D white brush head (also known as ProWhite) is designed to achieve just this — you can view it here on Amazon. In the middle of the brush head is a rubber polishing cup (purple or yellow in color) that replicates the motion and effect of professional dental tools to buff away stains on the tooth surfaces and leave you with whiter teeth. Essential it is not, but use the 3D White brush head with a whitening cleaning mode on your brush handle (if available) to achieve the best results as the specially programmed oscillations and rotations will ensure the best possible whitening is achieved. It is worth considering the toothpaste you use too. 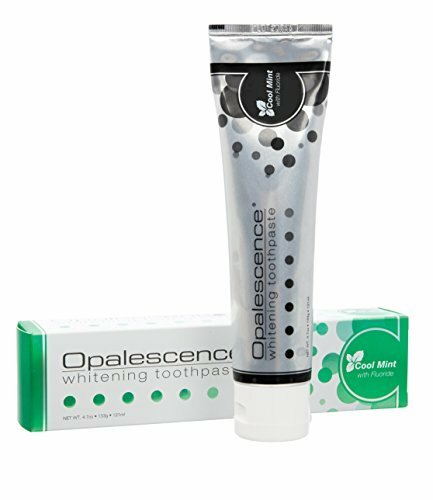 Whitening toothpastes are a it more abrasive and help remove surface stains. 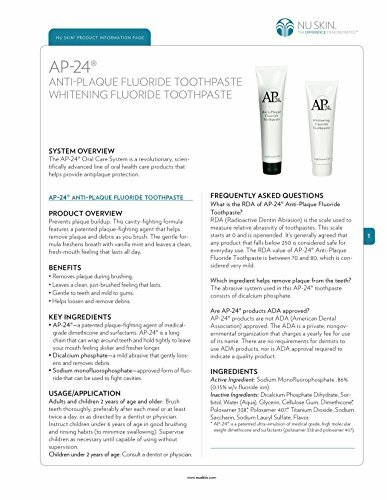 Opalescence and Ap24 are just two pastes you could try. Oral-B actually offer 2 styles of brush head. There is the Deep Sweep head which is similar to a manual toothbrush head in the size and the way it cleans. There is then, the most popular and our preferred ‘Pro’ brush heads. These Pro brush heads are inspired by dentists tools. They are the ones that are always shown in the advert and have under clinical studies shown the best results for improving users oral health. A Deep Sweep brush head reaches over 2-3 teeth at any one time compared to the one tooth approach of the Pro series. Both will offer a better clean removing more plaque than a manual brush, although evidence points towards the rotating-oscillating action or a small round head being the more effective of the two options when it comes to actually removing plaque. If you opt for the Pro heads, you then get to chose between these style of heads. All are designed to offer a great clean to the teeth, but each one has slightly unique characteristics that potentially offer advantages to you based on your specific needs. The ‘default’ all rounder that comes supplied as standard with most brushes is the CrossAction head as it suits most users. The FlossAction on the other hand is great if you particularly suffer with plaque build up in between teeth. 3D White is best used if you are trying to remove stains from the teeth and get more of a polished shine. Sensitive is best suited if there is inflammation in the mouth or you have particularly soft gums and Precision Clean attacks the gum line removing up to 5x more plaque. Less commonly seen are two more specialised heads. The first is the Ortho head which is designed to clean effectively dental fixings such as braces. The second is the Interspace or Power Tip which has a particularly unique bristle arrangement that can be used to clean the likes of implants and crown. All give the teeth a good general clean, do not be worried that you will lose out by selecting one over the other, but it can be good to change brush heads if your needs change over time. Let’s now get into the finer details of what each brush head offers, what the differences are and what one you might want to chose. To further help in understanding and comparing the heads, we have also created our own comparison chart to help, this is available for viewing later in this article. Also included are links to the various brush heads so that you can be sure you’re choosing the right one, and there’s a detailed video below that we’ve created that explains the role of each brush head. There are many third party brush heads, but here we are focusing on just the manufacturer originals offered by Oral-B. Are Oral-B Brush Heads Interchangeable? One of the fantastic things about Oral-B brush heads is that they are fully interchangeable. This means that if you have any of the Oral-B electric toothbrush, you can use any of the brush heads explained here. So whether you brush came provided with a CrossAction or Sensitive brush head you can easily clip on a FlossAction or 3D White head if that is your preference. No longer does one person in a household need to have a different brush to another. Share the same handle, just swap the brush head. It is advised to only use Oral-B brush heads with the brush handles as performance and wear on the brush using other brush heads cannot be guaranteed. We mentioned earlier that there are different styles of heads, Pro and Deep Sweep. You may be wondering what is the difference between the Pro and Deep Sweep and the way they work, well hopefully the following graphics demonstrate this best. What you should notice is that the motion of the heads are different. Deep Sweep is more like a traditional manual brush compared to the more advanced and arguably better oscillating rotating brush head of the Pro. It is the Pro series brush heads with the 3D oscillating, rotating and pulsating technology that tends to be most popular and are particularly praised for their cleaning abilities. I have tested almost of these different brush heads (with the exception of Ortho, Interspace and DualClean) and my personal favourites are the CrossAction and Sensitive brush heads. Being able to actually tell the difference between each and how well they clean is very difficult. Personal opinion is most certainly going to influence the thought about each. You might get different feelings and results when compared to my everyday use. Oral-B make many claims about the efficiency of plaque removal and how well each head cleans in combination with their brush handles. I am not here to judge or make comment specifically on how well they remove plaque, this is not a scientific test. Having tried each, here are a few of my thoughts. This is the brush head most often provided in the box with new electric toothbrushes and is essentially the ‘default’ recommendation for users unless they have specific dental needs and requirements. Positioned at a 16 degree angles, the bristles are placed in a crisscross configuration to give an effective clean to the tooth surface and along the gumline. 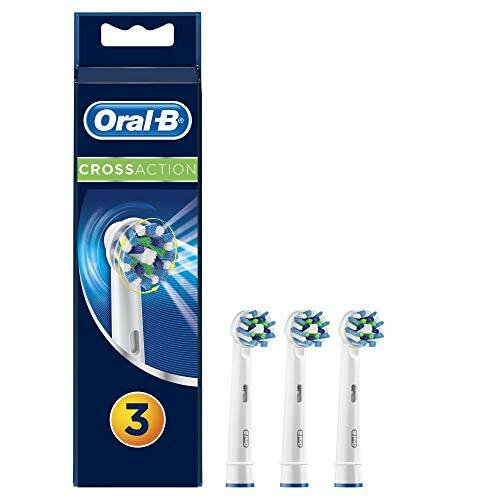 Reaching deep in between teeth to loosen bacteria and remove up to 100% more plaque than a manual toothbrush the CrossAction head is ideally suited to everyday use. I actually use an Oral-B Genius Pro 8000 as my main toothbrush and it is the CrossAction head that I have fitted most of the time. Well, although the bristles are not as soft as the Sensitive brush head, I actually quite like the slightly firmer bristle and the way they are laid out. The clean feels more aggressive. It is not, but what I mean by this, is after a clean my mouth pops with a certain freshness I do not get with other brush heads. If you have sore, swollen or inflamed gums it might be a bit rough on these. Many dentists preach about using soft bristles, and I will second that. However, the bristles still have a nice flex and movement to them and I don’t think you could consider them overly firm, they are just firmer than a Sensitive brush head. They are not going to do any damage to your teeth and gums. During every use, it feels like the head is cleaning deep and gets into the gumline, giving an invigorating clean. The small round brush head is like the calling card for Oral-B electric toothbrushes and what makes them so popular. The shape makes for much easier control and movement, particularly in the tighter space at the back of the mouth. Making up the brush head are clusters of bristles, 26 to be precise. Around this is a ring of 8 bristle clusters that are a dark blue and green in color. The green bristles are the same height as the inner white bristles and the dark blue sit slightly taller. All of these bristles are angled at 16 degrees. There is then the final outer ring of bristles. 16 clusters all of which are angled at 16 degrees. There are shorter white bristles and then taller light blue bristles. In most cases the CrossAction head is the ‘default’ brush head supplied with most Oral-B electric toothbrushes and I understand why. Many replicas exist, but there are many reasons to stick with this manufacturer original head. I have used a CrossAction head since Oral-B first offered them. Whilst I change the head every 3 months, never have I had a head break, bristles fray, become loose, wear unevenly or give me any cause for concern. They even have the indicator bristles that fade over time as the brush head is used. A great reminder to you that your brush head will need changing, it is the light blue bristles on this head that fade. The head that is most like that found on a manual toothbrush. It is physically larger covering more teeth at once and the motion of the bristles are different to the Pro head. The Deep Swee head has 3 different bristle zones. A power tip reaches the back teeth whilst shorter bristles clean the tooth surface and longer sweeping bristles that reach up to 2X deeper between teeth compared to a manual brush to deliver a more superior clean. You might consider this somewhat of an odd brush head amongst the Oral-B range, given that the shape of it is not round, like all the others. It is however still a popular style and is Oral-B’s answer to a brush head a little more like that you might get on a regular manual toothbrush. A few years ago, the Deep Sweep head was more widely promoted and offered in the box with the brushes Oral-B made. However as efficiency of the round heads have been proven this larger style head is does not get as much attention. Unlike a manual brush head though, the bristles move slightly differently. The head is made up of 7/8 rows of bristles (depending on how you look at it), made up of differing numbers of bristle clusters that run horizontally across the brush head. At the very top of the brush head is what is known as the ‘Power Tip’, 3 clusters of light blue bristles, shaped almost in a triangle. You have 1 cluster at the with 2 clusters below, 1 to the left and 1 to the right. Noticeable when you look side on at the brush head, you will see that these bristles in the tip are angled back slightly to help clean deeper between teeth. This ‘Power Tip’ moves left to right when connected to the brush handle and does so in perfect harmony with the 3 rows of white bristles on the head. Longer than the rows of stationary blue bristles, the moving white bristles do too clean deep between the teeth. The rows of white bristles each have 2 bristle clusters within them. They are not particularly thick, but are wide. In comparison the dark blue bristles are made up of 3 clusters. The same depth and width as the white bristles, 3 clusters means they cover a wider surface area. Cleaning the teeth via the sonic vibrations that pass into the bristles from the brush motor.the cleaning action feels different to a round head. It is not as intense and you certainly feel the sweeping motion that takes place. I found the head still cleans relatively well, but it does not personally give me the same level of confidence the CrossAction head would. Its larger size is too slightly more awkward for cleaning the rear teeth and harder to reach areas of the mouth. Deep Sweep is an option for those transitioning or who like the bigger head style. Designed to get deep between the teeth this brush head has unique MicroPulse bristles (the yellow one) that give a floss like clean. The remaining bristles focus on effectively cleaning the tooth surface and along the gumline to remove bacteria and surface stains. As the name of this head implies, the idea is that it can get deeper in between teeth to give an effective clean and help remove additional plaque and bacteria. Keeping with the traditional round brush head, it is the 4 yellow paddle like bristles that help with the flossing action. There are 4 tall rubber pieces, 2 either side of the brush head. A tapered shape, they get thinner towards the tip and move around a lot more than a normal bristle would. The technical name for this yellow bristle is a ‘MicroPulse’ bristle. Right in the centre of the brush head are 7 clusters of shorter mint green bristles. Above and below this are 2 cluster of light blue bristles with a further 2 clusters above them. The outer bristle formation is slightly thinner, but wider in formation and are positioned to form a slight arc or curvature to the edge of the brush head. The very outer bristles are the tallest on the head. To the right and left of the brush head is a single cluster of white bristles in a circle, with then a single taller but not so thick formation on the very edge. These are the same height as the inner mint green bristles. You will see from the images how the MicroPulse bristles are positioned at 8, 10, 2 and 4 o’clock. A third of the way down the MicroPulse bristle is a blue colored band that wraps around the whole bristle. It is actually thicker and gives extra strength. These bristles wiggle a lot more. Firmly fastened, they are not going anywhere, but the extra movement allows them to disrupt bacteria and debris they come into contact with. Watching the movement of the brush head in slow motion, shows how these bristles flop side to side. When actually using the brush head, I can’t say I can feel the MicroPulse bristles working all the time. Of course they are, at a very rapid rate, but every so often there is a slight sensation which can only be these bristles. Ideally suited for those wanting brighter and whiter teeth, the specially designed brush head has a dentist inspired polishing cup in the middle with traditional bristles around the edge. Offering a tooth by tooth clean, it buffs away surface stains to achieve whiter teeth within 2 weeks. The bristles move across the tooth surface and along the gumline to clean away bacteria and plaque buildup. As the name implies, this is a brush head best used by those looking to achieve fantastic white teeth. Usable on any cleaning mode, it is most effective on a brush that has a ‘whitening’ mode. Round in shape the head is, but in the centre is a round rubber polishing cup. Sitting lower than the rest of the bristles on the head, the pinky/purple cup has 4 thin bristles/upright rubber pieces inside that help give the cup strength. These are positioned at 9, 12, 3 and 6 o’clock, if you imagined the circle being that of a clock face. In between each of these are even smaller ridges inside the polishing cup, there are 3 between each larger support/bristles. 3 clusters of white bristles are positioned above and below this dentist inspired polishing cup. Moving out towards the edge of the brush head, on the left and right side are 3 deep blue colored bristles in 3 small clusters that essentially form the outer edge of the brush head. These are the shortest bristles on the head. At the top and bottom of the head are the tallest bristles, formed in 2 clusters they are a very dark blue color. The clusters are not as deep, but wider with a gentle curvature them. As the head moves in use, the bristles sweep away the food debris and plaque, whilst the polishing cup buffs the tooth surface removing extrinsic staining to leave a bright and white look to the teeth. How effective this brush head is at whitening your teeth is dependant upon your teeth and level of staining. When used with a good toothpaste it can remove extrinsic staining, i.e the staining that builds up due to use of tobacco, drinking coffee or red wine. But, the effects and change in tooth color may be little if you already have good oral hygiene and little tooth staining and the overall color of the tooth will not be whitened. It is perfectly fine to use this brush head everyday, but for me, I tend to avoid it as I do not feel the clean is as invigorating as the CrossAction. Please note. You may have seen or still see the 3D White brush head referred to as Pro White, with a yellow polishing cup and different colored bristles. It does the same job, but 3D White is the updated version. Softer on the teeth and gums, the Sensitive brush head works well for those who have inflamed gums, sensitive teeth or for those who want a softer brushing experience. Not as stiff, the bristles on the brush head move more gently over the teeth and gums to remove plaque, bacteria and food debris that builds up on the inflamed and sensitive areas of the mouth. You can buy them in the following pack sizes, available here from Amazon. Super soft bristles make this the most gentle of all the brush heads and the one that most dentists would say you should use. The softer bristles are very gentle on the teeth and gums and are particularly pleasing if you are suffering with sensitivity, inflammation or bleeding. This style is certainly a must for any older children moving to an adult brush for the first time. All the bristles on this head are cut to the same length. There is no cuping of the tooth in the way the 3D White or Precision Clean head might. Round in its shape, the outer edge has 14 clusters that form a circle. Each cluster is equally spaced and have a palish blue color to them. Inside this ring of bristles is another ring of very pale blue bristles. The formation is not quite as tight as the tips of the bristles appear to splay out a little more. I believe there are 12-14 clusters in total. You now essentially have 2 rings of bristles. Running across the middle of the inner ring are 2 clusters that in turn leave a small but noticeable D shape above and below. The clean is good and I have no real complaints. Of course the experience is softer, more gentle and less invigorating than the CrossAction head, but this is my 2nd choice and it is such a pleasure to use. Capable of removing up to 5x more plaque than a manual toothbrush the precision clean head leaves your whole mouth feeling cleaner thanks to an arc trim that cups each tooth as you brush it. Until Oral-B launched the criss cross bristle configuration that adorns the CrossAction brush head, it was the Precision Clean head that was the standard head supplied with new brushes. Just like most of the other styles, this brush head is circular in shape with bristles of different lengths to help give a deep and thorough clean to the teeth and gums. Hold the head side on and you really see the profile of the bristles and how they cup each tooth in the mouth. Shorter bristles on the inside clean the centre of the tooth surface, whilst the longer bristles clean the edges and the sides. The bristles are certainly softer and more flexible than the CrossAction head and would be a good choice for those looking for something a little less firm and more gentle on the teeth and gums. The bristles on the Sensitive head are softer still though. In the middle of the head are white bristles in 4 cluster. 3 clusters of bristles can be found on the right and left side. These clusters arc slightly around the centre bristles to give the head a little more shape. On the outer edge of both the left and right side of the head are 4 clusters of dark blue bristles.2 clusters are closer together to provide a thicker and more oval shaped formation. Looking above and below those white centrally located bristle clusters are 2 clusters of lighter blue bristles. Stepping out further from these is a much wider arcing cluster that forms the upper and lower edge of the brush head. These are the tallest bristles. Designed specifically for those with fixed braces and undergoing orthodontic treatment, this brush head targets the areas around the fixings to effectively clean and remove bacteria . Inner bristles target the fixings whilst outer bristles focus on reaching the all important gumline. Referred to as either Power Tip or Interspace this brush head is specifically designed to clean between teeth and around dental work such as bridges, crowns and tiny, hard to reach areas in between teeth and implants. Made up of two moving sections, the upper rounded bristle formation oscilates and pulsates whilst the lower section moves in a side to side motion. It is a combination of the Pro and Deep Sweep cleaning approaches that aims to reach deep into hard to reach areas. A specialised head, this is not strictly a brush but a nozzle for Oral-B’s Oxyjet. It infuses water with micro bubbles and forces this through to attack plaque and bacteria below the gumline. Oral-B’s Oxyjet only. It is not compatible with its electric toothbrushes. There are many different toothbrushes available form Oral-B. Some have more cleaning modes than others. Quite often the more expensive the brush was to purchase in the first place the more modes they have. Any of the brush heads mentioned above, with the exception of the Oxyjet nozzles can be used on any Oral-B electric toothbrush handle on any cleaning mode. However, some heads are better suited to particular modes. The sensitive brush head is best suited to the sensitive and gum care cleaning mode whilst the 3D White brush head is best partnered with the whitening cleaning mode. Using the correct brush head with the most appropriate cleaning mode can result in a more thorough and suitable clean for your teeth and oral health conditions. If ever in doubt it is worth speaking to your dentist to find which is the best combination for you. Which brush heads are compatible with my Oral-B electric toothbrush? 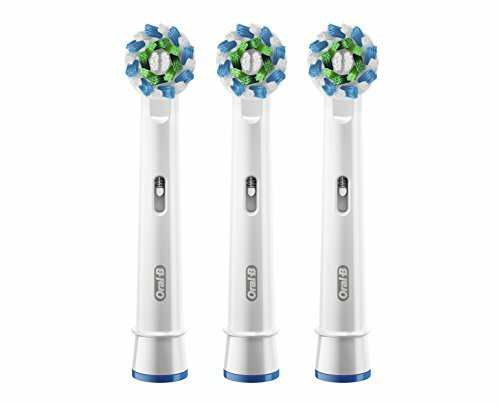 All of the brush heads shown in this post, with the exception of the OxyJet/Nozzle, will work with an Oral-B electric toothbrush handle. Therefore if you own the Oral-B Pro-Health Clinical, Vitality, Pro 500, Pro 1000, Pro 3000, Pro 5000, Pro 6000, Pro 7000, Pro 7500 or the Genius Pro 8000 any of the following brush heads can be used. Whether you think the brush head is still ok to use or not, after 3 months of use (twice a day for 2 minutes) you need to replace the brush head. If the bristles on the brush appear frayed, split or look damaged then you should replace the head sooner. In most instances the brush head will still look in as new after 3 months, such is the quality. However the recommendation by dental professional and healthcare organisations is 3 months is the ideal time on average to replace the brush head. Using a brush head for longer can actually cause harm to the teeth because bristles can become damaged and less effective at how they sweep across the tooth surfaces, in between teeth and along the gum line. Every Oral-B brush head has indicator bristles. The color of the bristles start off fuller and darker, but as time passes they become lighter and appear more worn. They start off blue and fade to a very pale blue, almost white/transparent color. It is this fade in color that acts as a guide to tell you to change brush heads. It acts as a visual clue and reminder to yourself that you should replace your brush head. This is particularly useful if you can’t remember when you did last change the head. If bristles are shorter, frayed or all over the place then it is time to change. Brushing with too much pressure is often a cause of wearing out brush heads quicker than normal. Thank YOU, you provided a lot of great detail. I am still confused about the purple ring head. I guess I’ll soon find out if I can use the other heads to replace it!